Microsoft is likely to show some enterprise-centric features of Windows �Threshold� at the forthcoming September 30 event in San Francisco. Microsoft is gearing up for an October 30 event where the company is expected to provide information about the next version of Windows operating system, dubbed as Windows 9. 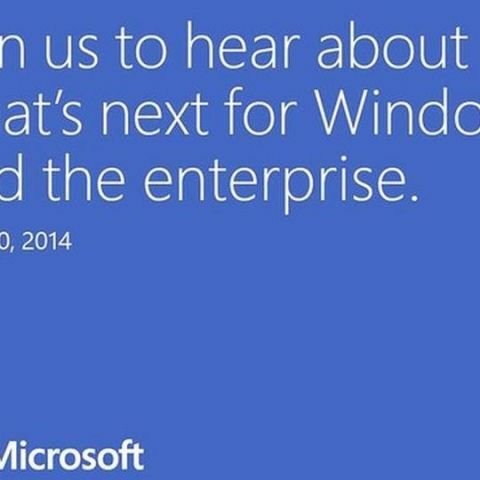 The invitation says - “hear about what’s next for Windows and the enterprise”. According to reports, Microsoft will be announcing a range of features of the next version of Windows aimed at corporate users. Reports suggest Windows 8 didn't go well with enterprise users, who have the traditional set up of keyboard, mouse and non-touch monitor. Microsoft is apparently aiming to improve on that front with the new update. Microsoft is likely to showcase a Windows Technical Preview for developers as well. Screenshots and videos of the new preview have already leaked, revealing a revamped Start menu, desktop feature and notification center. The company is also working to improve the desktop user interface, changes in taskbar and integration with Cortana virtual assistant. Windows 9 to be unveiled on September 30? The company has also been working on a combined version of Windows RT and Windows Phone. Microsoft is likely to show some of these improvements at the September 30 event. How to install newer version of Android on MICROMAX A110? How to install Windows 7 on a preinstalled Red Hat Enterprise Linux Version 6 computer?